Here at Briclean we are armed with the impressive Nilfisk pressure washer and power washer series. We always maintain a well stocked collection of high-quality cleaning equipment. Nilfisk pressure washers are forerunners of industrial cleaning. They host a wide range of pressure washers in a range of styles and settings. The range of Nilfisk pressure washers means they always have the right tool for your task. Nilfisk pressure washers ideal for use in the home or in industry. The Nilfisk Home Cleaner which is both compact and powerful. 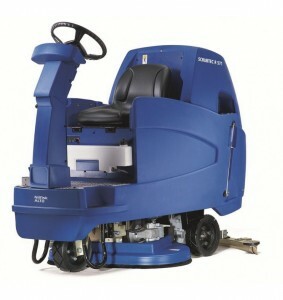 The other end of the spectrum contains Nilfisk’s Ride-On Scrubber Dryer – a veritable titan of cleaning prowess. It’s easy to see why Nilfisk are such a powerful international force in industrial cleaning hardware. Why not examine the full range of diverse Nilfisk pressure washers and floor cleaners? We supply Nilfisk pressure washers across the Midlands including, Staffordshire, Cheshire, and Shropshire. Nilfisk offer pressure washers from the 100 to 230 bar range. They have options for mains, petrol, or diesel powered units. Get in touch with us and we can help you find the best product for your needs. We at Britclean are always happy to help. You can always follow us on Facebook or Twitter. This entry was posted in Britclean UK and tagged Nilfisk Power Washers, Nilfisk Power Washers in Staffordshire, Nilfisk Pressure Washers, Nilfisk Pressure Washers in Staffordshire on October 4, 2013 by Julian Chadwick.